Pear Preservation, Canning and Dehydrating made easy. 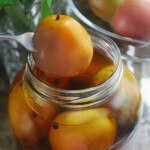 Preserving and Canning at Home is Fun and Easy! The growers of USA Pears are pleased to share our best tips for preserving, the bounty from the Northwest. Pears can be preserved in several ways: refrigeration, freezing, canning, or dehydrating. You’ll want to choose the best method for you based on how long you’d like your preserves to keep. The most short-term method of preserving. 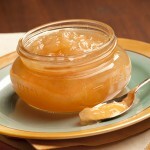 Preserves can be stored in the refrigerator for up to three months. Jars do not have to be fully sealed for refrigeration. The shelf-stable method of preserving pears and similar foods makes storage easy. If properly sealed, pear preserves can be stored in a cool, dark place for up to one year. A simple storage option for pear jam, butter, and chutney. Storing halved or whole preserved pears in the freezer is not recommended due to their fragile texture. 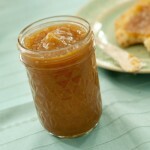 Preserves can be stored in the freezer for up to six months. Jars do not have to be properly sealed for freezing. When filling jars for freezing, leave 1-inch headspace. Home food dehydrators have recommended fruit drying settings for preserving the bounty of summer. Pears can also be dried in an oven at a low setting. Follow our suggested recipes and experiment for yourself. 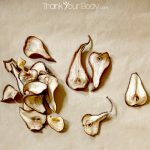 Try drying them with or without peels and sliced in several different ways, including cored rings, rounds with seeds and cores left in, or planks from top to bottom. 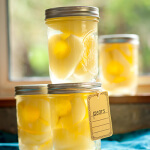 Try these great recipes below or view all of our pear canning and preservation ideas here.